How To Use Social Media For Fundraising? Social media is no more just a platform for interacting with friends. In fact, it has become a big platform for charity fundraising. Nowadays, lots of charity organizations are using the power of social media to raise funds. Interestingly, a big chunk of social media users wants to participate in the fundraising campaigns. So if you have just launched your charity organization and need to generate funds, then the powerful medium of social media can take your effort to new heights. In this digital-enabled era, the trend of online donation is increasing rapidly. In fact, the majority of the youngsters is really charged up for it and actively takes part in charity fundraising. Before you launch your fundraising campaign on social media, you prepare yourself thoroughly. Firstly, you need to set your goals. Knowing your target audience is another necessary step towards launching a fundraising campaign on social media. Your fundraising campaign should have its strong purpose which can attract people to donate. Every social media platform is unique and has its specific audience. Therefore, you have to customize your message according to the specific social media platform. In addition, you should avoid following the ‘cut and paste’ strategy for all the social media platforms. For instance, Twitter allows you to use only 140 characters in one post, Instagram involves visual marketing in the form of pictures, YouTube is perfect for video marketing. It means that every social media platform requires different marketing collateral. Therefore, your strategy should also be different for every social media platform. When it comes to using social media for fundraising, you need to try the multiple approaches to explore what works best in your specific case. If you notice any particular kind of content that is getting more response in your specific niche, you should analyze and find if it will work for you as well. Once you establish a connection, you should build a content strategy for that particular platform. However, you should never overlook feedbacks that are given by the people as it helps you come up with better ideas. You should regularly update your target audience on the overall progress of your fundraising campaign. You need to reveal to them about how far away you are from accomplishing your goal. For example, you can publish posts with a countdown to show that you are only that much away from reaching your target. Following this approach enables you to generate a huge amount of money through a fundraising campaign on social media. The more you focus on improving your credibility, the more you will be able to attract people effectively on social media for fundraising. Ensuring transparency in using charity funds attracts a more new audience on social media. After every fundraising campaign reveals a precise and detailed report on how you spent that charity fund. This strategy will improve your credibility and people like to donate you more on social media. You should not consider the fundraising thing just a “one-time show” as you’ll constantly need the support of your financial supporters year-round. The startups that stop using the social media after raising a certain amount of donations lose their loyal donors in the long run. Therefore, you should be active on all the social media platforms throughout a year. All these above-discussed are some very effective ways of ensuring a successful fundraising campaign on social media. Following all these 6 ways will never let you run short of money to continue your good cause. Joseph Carey is an experienced social media manager. He has been holding this position for past 6 years. Apart from that, he is also a professional writer and works in a group of experienced essay writers. You may follow him on Google+. If you are more into finding new beaches and have fun there with friends then this write-up has a lot to reveal for you. Partying at the beach is great fun but always visiting the same beach does not sound well, therefore, you must be focused to find some exciting and unexplored beaches of the world. As you kick off your research in this regard so you will come across the fact that there are lots of cities all over the world, which have attractive beaches. In this write, up, you are going to explore some of those cities having awesome beaches, which you will love to visit with friends. It is a fact that you cannot stop admiring them and you will not be able to resist making a plan to visit all of them. Followings are those exciting cities, which have awesome beaches so make sure you go through all of them. You will have to start with Sydney as it has beaches consisting of golden sands, which you will definitely like. The coastal walk starting from the Bondi beach to the Coogee beach has great wooden walkways and various informative plaques. You will also see Waverley Cemetery, where lots of famous people are buried. Get ready and make a plan from today to visit exciting beaches Sydney has for you. Nice is another beautiful city in France where you will find lots of lovely beaches. You must consider visiting this beautiful city as it has a lot to offer you. You will find both public and private beaches there and at these beaches, you also have an option to rent out lounge chair. Now, what are you thinking? Go and make a plan to experience stunning beaches of Nice. When it comes to famous Asian beaches so Shanghai has its share in this regard and that compels you to visit this exciting city. You will come across beaches such as bund beach, Jinshan Beach, and Dino beaches. You will find lots of activities on these beaches that will attract you a lot. From playing volleyball to participating in fun activities, people do everything at these beaches of Shanghai. It is an open challenge that you cannot resist to admire the jaw-dropping beauty of this lovely city, which has world’s famous beaches. As it comes to the beaches of this awesome city so Copacabana beach comes first. You must make a plan to visit this iconic beach with friends as it has all that it takes to have a nice and beautiful beach experience. The Clifton beaches of South African’s city “Cape Town” are really famous among both natives and international tourists. If you talk about the beaches along False Bay coastline so they consist of warm water and ideal swimming conditions. On the other hand, Atlantic coast beaches consist of really cold water. Every year, lots of people from all across the world visit these exciting beaches. In Europe, Barcelona is the city, which is really famous for having beautiful and attractive beaches. If you talk about famous beaches of this exciting city so the first name that comes to mind is Barceloneta beach. There are lots of activities and participating in those activities will make your beach experience more perfect. You may also visit other beaches such as Nova Icaria beach, Bogatell beach, Mar Bella Beach, and Ocata beach. These above-mentioned are some famous cities of the world having attractive beaches. Visiting all these beaches in this summer will be the great idea for you so stop thinking anymore and make a plan to visit all of them this year. Naomi David is a Destination Analyst. She has been assisting tourists for more than 10 years. With that, she is a professional writer and offers students a help with essay writing. You must follow him on Google+. The internet of things is a wonderful concept that aims to make everything around us connected to the World Wide Web. Google has already made a head start with self-driving cars – as in vehicles that are smart enough to go to the maintenance center for fine tuning according to the next appointment. 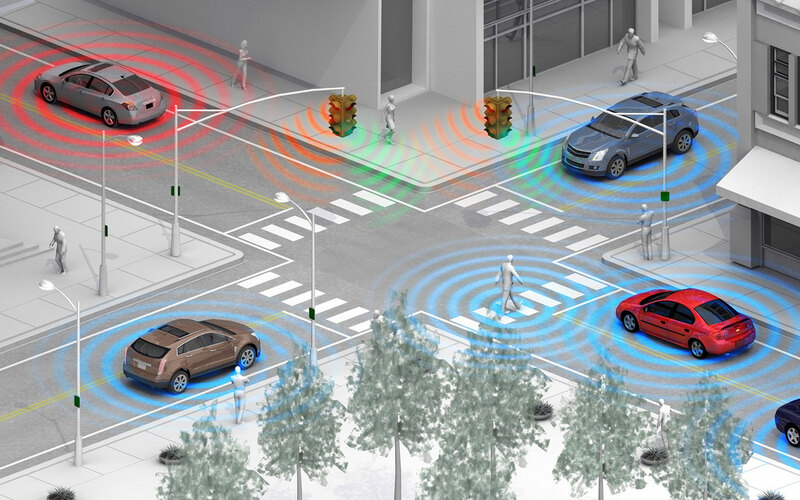 In this article, we are going to talk about how connected cars are paving the way for people in the years to come. So without further ado, let’s have a peek at some of the ways smart cars can aid us in our everyday lives. As we head out further into the future, technology continues to go through the cycle of innovation. There is the ability to stream data from the cloud in real time; the computing speed required to operate artificial intelligence and self-driving; the breakthrough of complex low-cost sensors that allow a car to know of its surroundings; and the software required to get all of this together. Old and new automobile companies are now looking forward to investing in new technologies and services. It has been evident in the premium market, with companies like Tesla and BMW who are pushing technology beyond expectations. Aside from this, other types of connected vehicles include low-cost urban pods, robot taxis, and 3D-printed buses. There is no escaping the inevitable digital makeover that comes for society as we move on, but that doesn’t have to be a bad thing now does it? What the drivers of the new age can hope to look for are a computerized engine, satellite connectivity, and rear camera. With that in mind, drivers can also expect to see downloadable apps that can be implemented with their vehicles to make the whole experience more intuitive and convenient. Given how fast product innovation is going to be, the only way to keep with the pace of the changes is to get a hold of instant upgrades. In the future, we can expect to see cars accurately perceive their surroundings. For example, it will recognize a traffic jam if there are slow-moving cars around. And how it can tell that there is a parking space if it sees a car moving out between two cars. So far, the BMWi car is the first fully online electric vehicle to be marketed. The controls and connectivity that it comes with are designed to go well with the vehicle’s green usability. By cross-referencing the battery power, traffic conditions collected from the internet and the information on the quality of the road surface, the BMW i3 gives the driver the exact picture of how far it can drive with its current charge, as well as recommendations for energy-efficient routes and driving styles. It is also able to scan charging station networks and determine in real-time which of the stations are the closest to the driver’s planned route. If every other can have the same kind of function, wouldn’t that be a thing of beauty? Aspiring new unconventional tech companies have been turning a lot of heads lately. They offer new services as add-ons as well as gaining attention for making cars run on their own. Various technologies include mobileye, which offers entire “system-on-a-chip” solutions for advanced driver assistance systems and Nvidia is involved in making systems for dashboard functions, autonomous driving, and mapping. Apple on the other end has invested about $10 billion on an iCar, whereas Google is working on an entire operating system for connected and autonomous cars. As a matter of fact, Google’s own self-driving cars have driven 1.5 million miles. Let’s see what else the days to come have to offer us. Lara Collins is a Sub-Editor at a technology magazine and a blogging geek at Writing Service UK. She is fond of the tech and automobile industry and writes blogs about the latest and most advanced technology.